From KayakPro, the Makers of SpeedStroke, official suppliers of Ergometers to the 2004 Athens Games, 2006 Asian Games, 2008 Beijing Olympic Games, 2010 Asian Games, and 2012 London Olympic Games, comes SpeedStroke Gym Kayak - Simple. 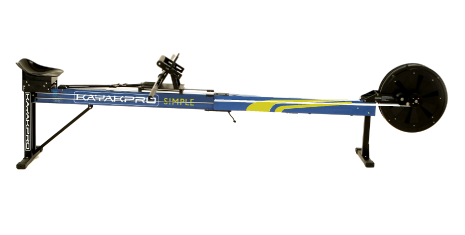 SIMPLE is essentially the same structural Ergometer as our SpeedStroke GYM version- but with the electronics removed, SIMPLE - is an economic version of our Kayak Ergometer –retaining the same great on-the-water feel and action as our Standard model -for a lower cost. 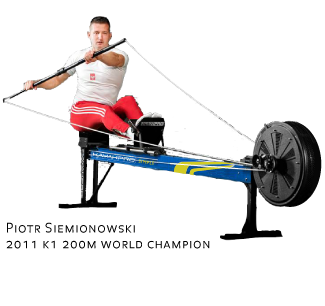 SIMPLE - has a slightly different livery to the Standard SpeedStroke GYM – but the good news is, should you decide to upgrade your SIMPLE Ergometer to include the electronics - there is an Electronic upgrade pack available- The upgrade pack includes an on-board console, sensor cable extensions, holding bracket for on your on-board console and other key spare parts- all of which can be easily retro-fitted to your SIMPLE Ergometer. Order your SpeedStroke – SIMPLE now!